SATA cables are designed for the fastest SATA hard drives on the market. 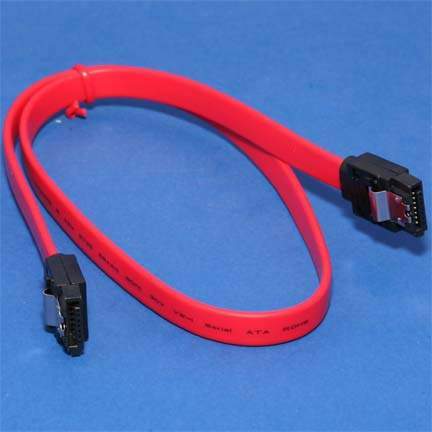 This cable supports SATA III SATA II and is also backwards compatible with all standard SATA components. Constructed to meet signal integrity which is insured for all data transfers supported by SATA. This shielded SATA cable is perfect to blend into any system and includes the locking mechanism required of the SATA II and SATA III specification.